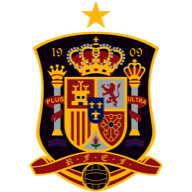 European champions Spain produced a dominant display to thrash South Korea 6-1 in Salzburg on Wednesday in their penultimate friendly before Euro 2016. Celta Vigo forward Nolito staked a claim for a starting berth in the opening group game against the Czech Republic by netting twice after David Silva and Cesc Fabregas had given Spain a two-goal lead just after the half-hour mark. Juventus forward Alvaro Morata also scored twice to round off Spain's biggest win since they thrashed Tahiti 10-0 in 2013. 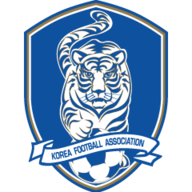 Substitute Ju Se-jong got a consolation goal for South Korea. Spain coach Vicente del Bosque made four changes to the team that comfortably beat Bosnia 3-1 last Sunday, recalling Iker Casillas, Andres Iniesta, Gerard Pique and Morata. Silva and Nolito were Spain's liveliest performers in the first half, and it was the mercurial Manchester City midfielder who opened the scoring with a stunning free kick. Barely a minute later Morata chased down Kim Jin-hyeon after a sluggish back-pass and the goalkeeper spilled the ball under pressure, allowing Fabregas to tap into an empty net. Nolito then added to the two goals he scored against Bosnia by running on to a stylish pass from Cesar Azpilcueta and calmly sliding the ball through the keeper's legs. Del Bosque made four substitutions at the break to give playing time to Thiago Alcantara, Jordi Alba, Sergio Busquets and Pedro. Morata headed in from a corner and Pedro released impressive full-back Hector Bellerin, who cut the ball back for Nolito to score again. Ju pulled a goal back for the Koreans but Morata restored Spain's five-goal lead with virtually the last kick of the game, chipping in from a tight angle.